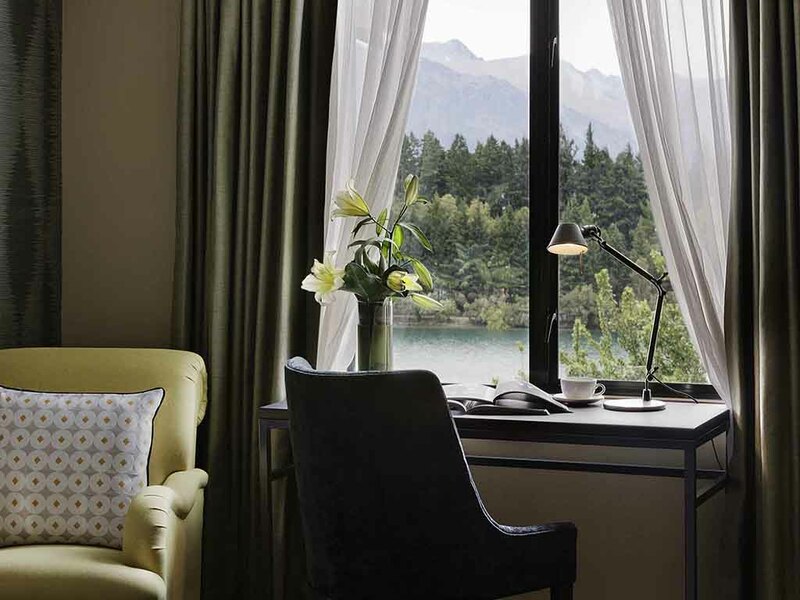 Renowned as one of Queenstown's finest, Hotel St Moritz enjoys an extraordinary setting, making it the ultimate destination for a restorative break. 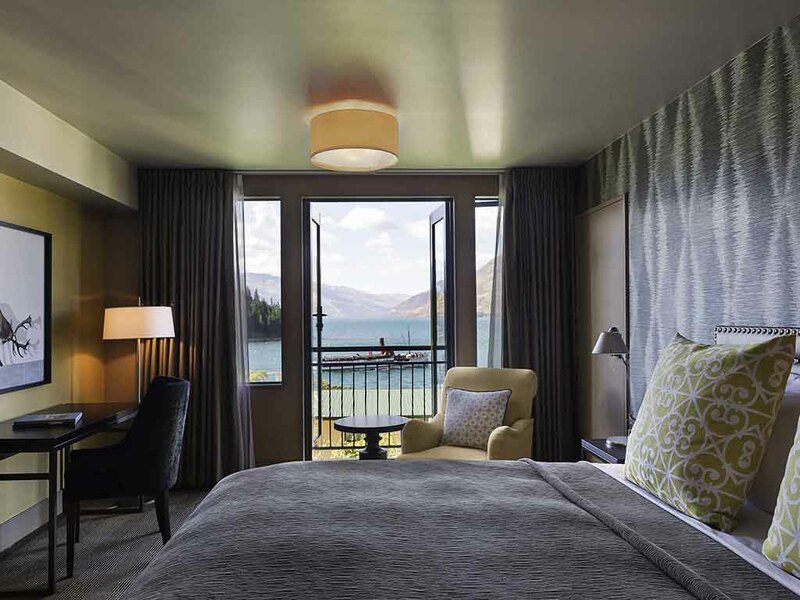 Like it's European namesake, this Queenstown hotel draws inspiration from its surrounding landscape. Sophisticated interiors reminiscent of an upscale modern mountain lodge, this hotel features classic lodge facilities including an outdoor hot tub garden, and sauna. Dining at "Lombardi" in Hotel St Moritz is another opportunity to immerse onesself in the landscape, with locally sourced food and wine from the Central Otago region, served against a backdrop of lake and mountains. Renowned as one of Queenstown's finest, Hotel St Moritz enjoys an extraordinary setting, making it the ultimate destination for a restorative break. 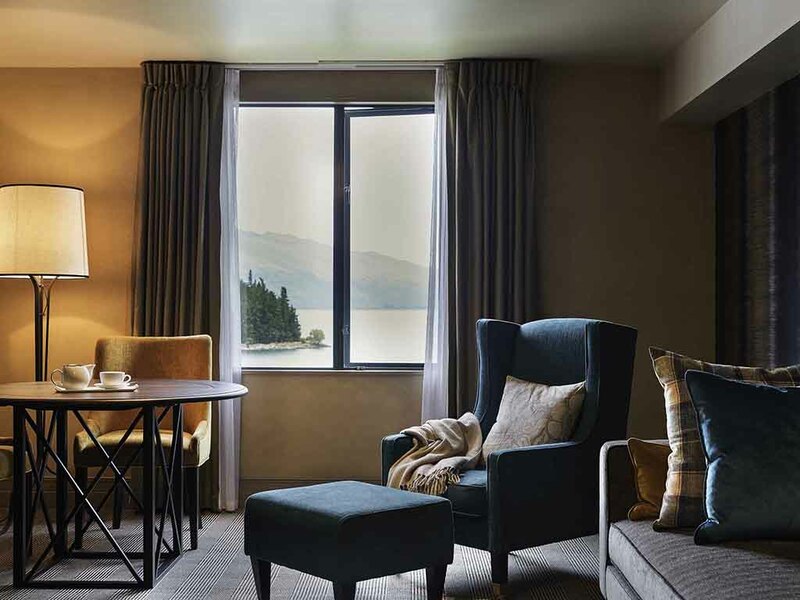 Like it's European namesake, this Queenstown hotel draws inspiration from its surrounding landscape, ..
A Heli-picnic on an extraordinary alpine plateau. At your leisure fly by private charter helicopter to "The Ledge" on Cecil Peak for a magical half hour of tranquillity. A helicopter flight is the iconic way to travel into the backcountry of the South Island and at almost 2,000m above sea level, this rustic high altitude champagne picnic hy Hotel St Moritz ensures the perfect communion withnature. This is an opportunity to experience an incredible sensory moment where the imposing scale of the mountains is awe-inspiring. Back at your cosy retreat, let our chef spoil you with a gourmet meal at Lombardi Restaurant, and savour a glass of local pinot noir and gaze at the lake as the sky changes colour and evening descends. The perfect ending to an enchanting day. Queenstown was carved out of the land by glaciers, rivers and lakes, but it has been shaped by adventurers drawn to the region from all over the world . It has become the Southern Hemisphere's premier four season lake and alpineresort. 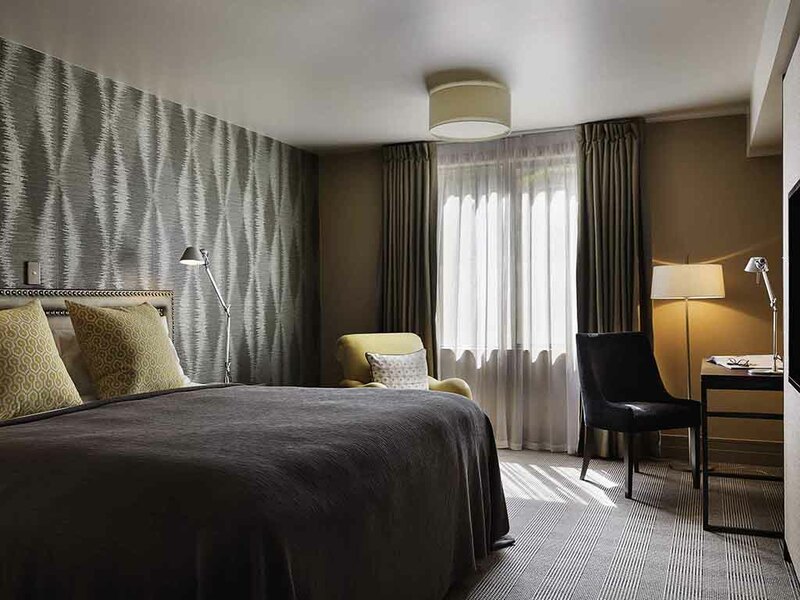 The ultimate in Queenstown accommodation, Hotel St Moritz offers a unique blend of stylish guest room and suites. Spacious and understated, they each boast a rich, eclectic mix of colour and texture, many with dramatic lake views. 36m2 / 387 sq.ft. Beautifully appointed and spacious, this room overlooks the street/driveway and features a 42" LCD TV, armchair, writing desk, ensuite bathroom with large glass walk in shower, and Molton Brown toiletries. Twin bed on request. 36m2 / 387 sq.ft. Sumptuously appointed and spacious, this room overlooks the hotels garden and features a 42" LCD TV, armchair, writing desk, ensuite bathroom with large glass walk in shower, and Molton Brown amenities. Twin bed on request. 36m2 / 387 sq.ft. Sumptuously appointed and spacious, this is an ideal Queenstown base. The room features a 42" LCD TV, armchair, writing desk, ensuite bathroom with large glass walk in shower, and Molton Brown amenities. Twin bed on request. 36m2 / 387 sq.ft. Sumptuously appointed and spacious, with breathtaking lake views. The room features a 42" LCD TV, armchair, writing desk, ensuite bathroom with large glass walk in shower, and Molton Brown amenities. Twin bed on request. 54m2 / 581 sq.ft. This handsome residence features a wet-bar/lounge/dining, master bedroom & ensuite (walk-in shower & sep. bath). Molton Brown toiletries, 42" TV's, minibar, microwave, Nespresso machine. Day-bed for extra person (charged). The ultimate indulgence, in room dining is a real treat at Hotel St Moritz. Breakfast, all day dining and dinner are all available via an extensive in room dining menu all carefully prepared by Lombardi. 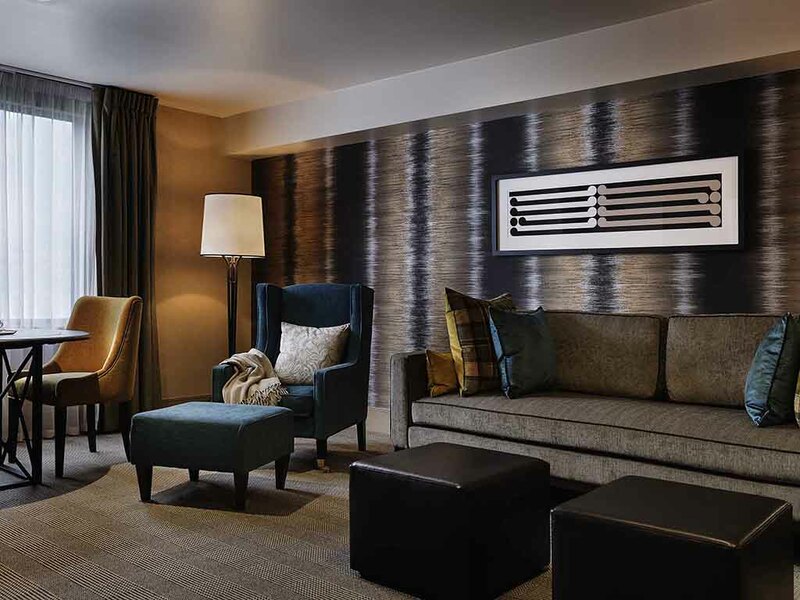 A natural meeting place, Lombardi Bar sits immediately adjacent the hotel lobby. Extensive views over Queenstown's peaks, provide ample opportunity to contemplate this remarkable destination. An impressive cellar selection of our region's most famous Pinot Noir vintages awaits. Try our signature Pinot Pinot Pinot tasting experience whilst gazing across dramatic lake and mountain landscapes. Whether a woodfired pizza, or our legendary lasagne, this is soul food at its best. An opportunity to dine with arguably the best view in Queenstown. Watch in awe as the light changes across this jaw-dropping landscape. Hotel St Moritz is the ideal venue for an effortlessly stylish Queenstown event, complete with innovative, memorable touches. A dedicated events space, The Den, caters for customized meetings and private events, with phenomenal panoramic views. Like The Den, The Library features panoramic views of lake and mountains. It is an ideal venue for entertaining, complete with stone fireplace, small balcony, and handsome black lacquer piano. Small meetings can be achieved in this room. Hotel St Moritz possesses an innate sense of style and is renowned for its distinctive and detailed approach to service. There are two private venues available for celebrations, each beautifully decorated, and with panoramic mountain and lake vistas. This alpine inspired Boutique hotel is a wonderful base for you and your guests to make-life-defining memories. Queenstown weddings capture the essence of romance, with every season presenting splendid landscapes. Hotel St Moritz offers a choice of rooms and sumptuous suites, each handsomely appointed, cleverly blending timeless classics with modern essentials. Panoramic views across lake and mountains are available in both accommodation types. Hotel St Moritz caters for wedding receptions for up to 80 guests, in either of two private venues, The Library or The Den. Our team are highly skilled in helping you to create the most memorable of weddings. From dining menus, to decoration to room choice we're here to assist you. The hotel's award winning restaurant offers a superb New Zealand dining experience with two private rooms available for group events, each with breathtaking views across Lake Wakatipu to the mountains beyond. Hotel St Moritz boasts a prime location. Positioned discreetly on the hillside looking over the lake and mountains and only a five minute walk from the hustle and bustle of central Queenstown. The elegant décor and dramatic mountain backdrop of Hotel St Moritz is perfect for newlywed romance. We have a range of activities & amenities including an in room champagne breakfast, chocolate dipped strawberries and more. At Hotel St Moritz our team strive to make your stay as leisurely and enjoyable as possible. From our outdoor hot tub garden, valet parking, turn-down service and more. From winery tours, to bungee jumps to heli trips, our concierge team are on hand to help you from planning to booking. We look forward to making your stay truly memorable.